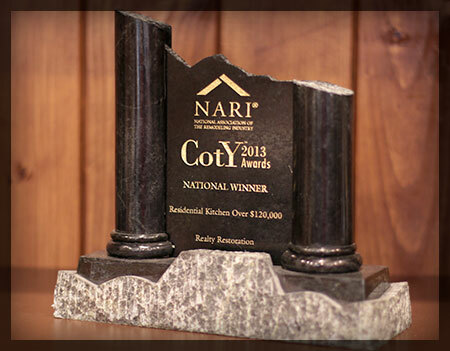 Realty Restoration, LLC was formed in 2001 by David Davison, CR*, CKBR* and is a proud member of Austin NARI (National Association of the Remodeling Industry). 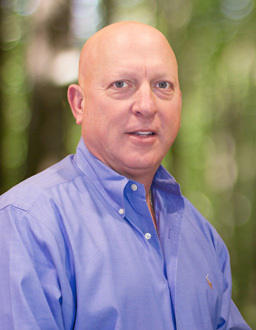 David Davison, MCR, CKBR is a Master Electrician, Master Certified Remodeler* and Certified Kitchen and Bath Remodeler* with over 30 years experience in the construction and remodeling industry. He specializes in design-build residential renovations and additions, as well as new construction. Additional services provided include renovations and additions in the light industrial/commercial arena including Office/Warehouse, Class A office space and Dental Facilities. David served as the 2012 president of Austin NARI and was the Board of Directors Liaison and Chairman for the 2013 Tour of Remodeled Homes, which highlighted one of Realty Restoration, LLC’s premier projects. In 2013 he earned the distinguished Austin NARI “Community Service Award” as well as the Austin NARI “In Appreciation for your Service on the Board” award. * A Master Certified Remodeler (MCR) and Certified Kitchen and Bath Remodeler (CKBR) designation confirms the remodeling contractor’s superior knowledge in remodeling as defined by the National Association of the Remodeling Industry. 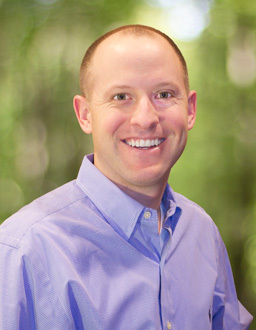 Christopher Davison, AIA, joined the firm in January of 2009. Christopher, a registered architect in the state of Texas, attained a Masters of Architecture in May of 2005 from Texas Tech University. While a student at Texas Tech, Christopher helped in the design of Realty Restoration LLC’s 2007 Austin NARI Tour of Homes entry on Small Dr. Upon graduating, Christopher moved to Dallas to complete his internship with RTKL associates, a multidisciplinary firm specializing in healthcare design. While at RTKL, Christopher helped to implement a new 3d modeling software by the makers of AutoCAD called Autodesk Revit, while completing his licensing exams in January of 2008. Christopher also spent two years in Dallas with Stocker Hoesterey Montenegro Architects, a well known high end residential firm, where he introduced the firm to Revit and carried out its implementation. Christopher has worked on projects from specialty heart and cancer hospitals while at RTKL, to >10,000 sq ft houses and a 22 unit condo project in Highland Park while at SHM Architects. Christopher facilitates the design portion of the firm’s design-build strategy, by attaining as-built measurements of your home, developing schematic designs to aid in preliminary pricing, and final construction drawings and assistance in product selection to complete the design of your remodel and/or new construction. Christopher served as the 2018 President of Austin NARI and is currently the Board or directors Liaison for the Marketing committee of Austin NARI. He was awarded the “Presidents Award” from 2017 President of Austin NARI, Jeff Boullard of Avenue B Development for his exemplary service to the board. One of Realty Restoration LLC’s most acclaimed projects to date was the renovation and expansion of an existing kitchen, master bath, 4-car garage addition and second floor game room addition on Talbot Ln. This project won NARI awards at the Local, Regional, and until now elusive National level for Contractor of the Year in 2013 for Kitchens over $120,000.